Our world is only at the start of a massive, long-term disruption cycle. Globalization is one driver, but new technologies are set to bring even more change. It’s not an overstatement to compare the change ahead with the arrival of electricity. Soon we will see whole job categories disappear; millions already feel left behind and disenfranchised. Education is the key tool to manage the challenges ahead. The economies of the future will be knowledge-driven. 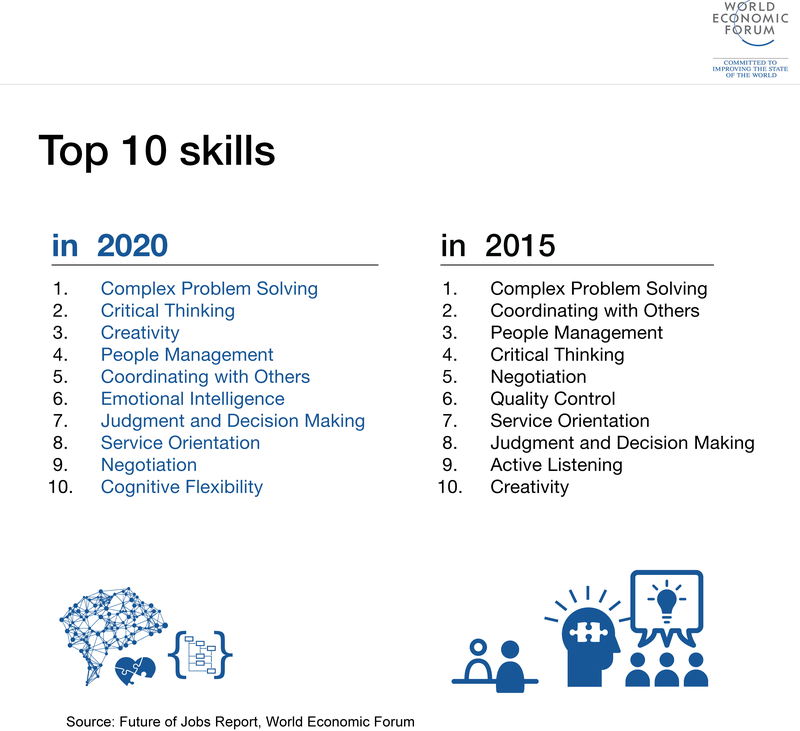 That’s why we must use education to help people ride this wave of change and give them the skills they need for the new jobs of the 21st century. However, our world has a problem, in that most education systems were built for the needs of the 20th century. Take higher education: it has not been designed to deliver the skills needed for the disruption ahead; and – even worse – the cost of tuition and course materials has become a significant barrier to access. If you want proof that the system doesn’t work, ask whether those who graduate actually have the skills that our economies need. Or if the skills they graduate with allow them to confidently confront the lumbering debt associated with attaining a degree. So, what is the cause of this systemic failure, and how can we fix it? Let’s start with the status quo. Students may seek to disrupt the system because they know it doesn’t work for them, but they are not in a position to drive change. Grand education reforms aren't the answer either. They are too slow to come, top-down and cumbersome. Instead, innovation needs to come from the ground up. So what is the answer? You could call it the "software" approach. Just like in a tech start-up, educators should be allowed to innovate, fail fast and be rewarded for ideas that make a difference. Every classroom, every lecture, every college and every university needs to find solutions that fit their problems and – most importantly – meet the needs of their students. And here’s the biggest piece of “software” in this new approach to education: pure knowledge. A lot of it is currently trapped in physical textbooks, but digital technology can unleash it for today’s students – by offering new platforms for learning and new ways of owning knowledge. If we tear down the old barriers keeping students from accessing knowledge, then we can achieve a quadruple win: for lecturers, students, authors and publishers. This change has already begun in the industry of education publishing. Wherever it operates there is only one course of action: either it disrupts itself, or it will be disrupted. We all know what happened to the music and media industries. If we don’t disrupt our own business models, we will quickly go the same way. The result would leave all content creators worse off, and leave higher education adrift in a maelstrom of dubious or outright fake “knowledge” and information. As societies, we must not allow this to happen. In other words, higher education needs its Netflix moment. Because of the power of long-established content like textbooks, and the cost and difficulty of establishing distribution scale in a fragmented market, I don’t believe that outsiders will be the change agents in the near term. There also won’t be a big bang moment, because no education system can afford that. Instead, we must develop new business models that work best for teachers and students, giving them both the digital tools they want and the financial flexibility they need. This is not about throwing out existing knowledge and textbooks. Rather, it’s about taking tried and tested educational material, which is familiar to professors and students, and upgrading it. Education materials of the 21st century must support interactive teaching and learning models. They need to encourage a much closer collaboration between lecturers and students. Most importantly, they need to dramatically decrease the financial burden on students. The change, however, will reverberate through the whole system of higher education. Textbook authors can look forward to systems that truly measure and reward success. Lecturers will have more freedom to choose their materials and can teach more effectively. Universities will know that the age of outdated materials – a common problem due to the speed of technological disruption – is over. For publishers, it means that we truly need to revolutionize our own business. There won’t be a single publishing model that defines the future of education. Every subject, language and country may have to go through its own “fail fast” process of educational innovation. If we want to future-proof today’s students for the Fourth Industrial Revolution, let’s start by disrupting the system of higher education itself.